Explanation: Small bits of this greenish-gray comet are expected to streak across Earth's atmosphere tonight. Specifically, debris from the eroding nucleus of Comet 21P / Giacobini-Zinner, pictured, causes the annual Draconids meteor shower, which peaks this evening. Draconid meteors are easy to enjoy this year because meteor rates will likely peak soon after sunset with the Moon's glare nearly absent. Patience may be needed, though, as last month's passing of 21P near the Earth's orbit is not expected to increase the Draconids' normal meteor rate this year of (only) a few meteors per hour. Then again, meteor rates are notoriously hard to predict, and the Draconids were quite impressive in 1933, 1946, and 2011. Featured, Comet 21P gracefully posed between the Rosette (upper left) and Cone (lower right) nebulas two weeks ago before heading back out to near the orbit of Jupiter, to return again in about six and a half years. 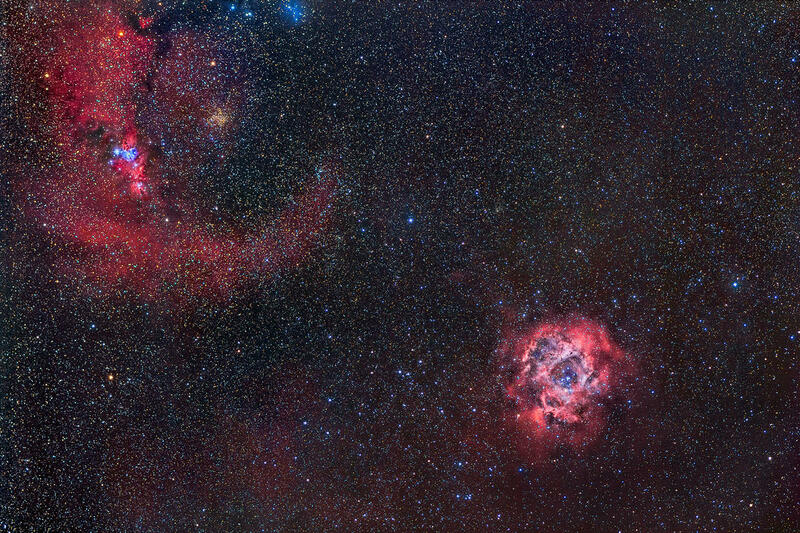 Rosette and Cone nebulas, no comet. The Cone Nebula region. 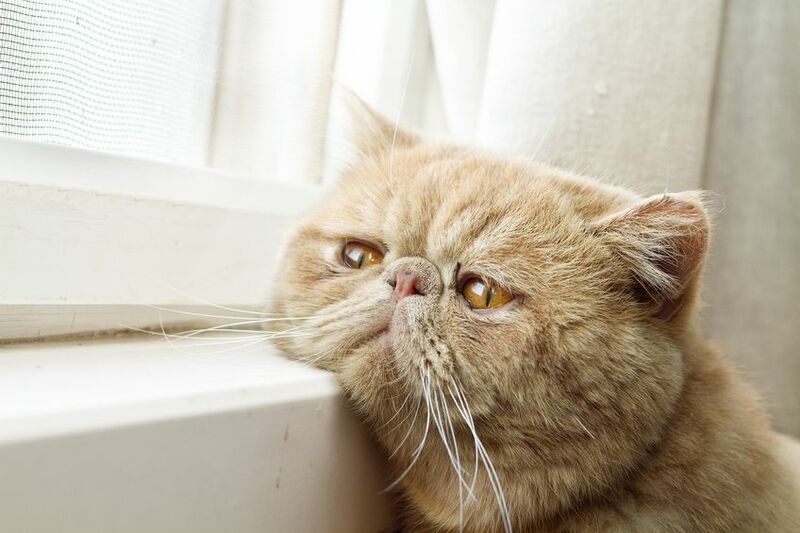 Photo: Chris Wise. Comet green in a sea of red, a sea of Cones and Roses! It's pretty! But one color is missing from the APOD. To show you which one, I'm posting another picture of the Rosette and Cone nebulas. And in case you still don't get it, at right is a closeup of the Cone nebula and the Christmas Tree Cluster. Last edited by Ann on Mon Oct 08, 2018 7:52 am, edited 1 time in total. It's pretty! But one color is missing from the APOD. To show you which one, I'm posting another picture of the Rosette and Cone nebulas. 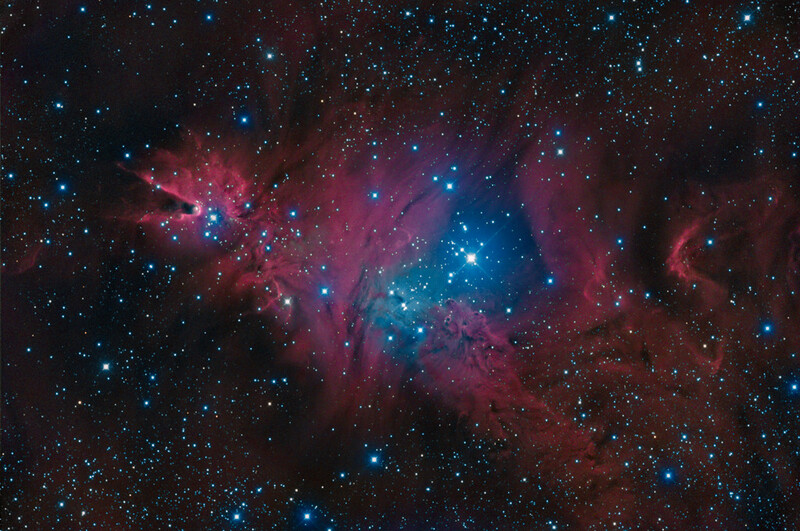 And in case you still don't get it, at left is a closeup of the Cone nebula and the Christmas Tree Cluster. So basically you wanted to see some BLUE!!! !